Don Carpenter was one of the finest novelists working in the west. His first novel, A Hard Rain Falling, first published in 1966, has been championed by Richard Price, and George Pelacanos who called it "a masterpiece...the definitive juvenile-delinquency novel and a damning indictment of our criminal justice system," is considered a classic. 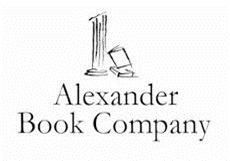 His novel A Couple of Comedians is thought by some the best novel about Hollywood ever written. He finally abandoned that in favor of writing a novel. 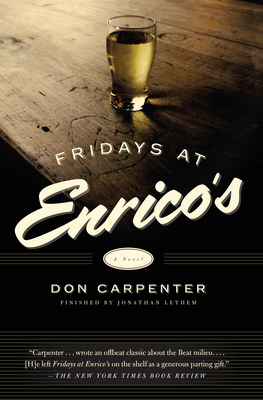 Friday's at Enricos, the story of four writers living in Northern California and Portland during the early, heady days of the Beat scene. A time of youth and opportunity, this story mixes the excitement of beginning with the melancholy of ambition, often thwarted and never satisfied. Loss of innocence is only the first price you pay. These are people, men and women, tender with expectation, at risk and in love, and Carpenter also carefully draws a portrait of these two remarkable places, San Francisco and Portland, in the 50s and early 60s, when the writers and bohemians were busy creating the groundwork for what came to be the counterculture. Don Carpenter was born in Berkeley in 1932. Raised in Portland, he enlisted in the Air Force and returned to the Bay Area at the end of his service. He published ten novels during his lifetime, and he had a successful career as a screenwriter, living for long periods in Hollywood. After years of poor health he committed suicide in Mill Valley in 1995.